One of Windows 10's most controversial features is getting kicked to the curb. Microsoft announced that it will kill off Wi-Fi Sense in an upcoming Windows 10 update. The feature made a lot of folks uneasy because it shared your Wi-Fi password with all of your Facebook friends' computers, as well as those belonging to your Skype and Outlook.com contacts. That's not what undid Wi-Fi Sense, though. Microsoft said it took a lot of manpower to maintain, and customers just weren't taking advantage of it. "The cost of updating the code to keep this feature working combined with low usage and low demand made this not worth further investment," said Gabe Aul, head of the Windows engineering systems team, in a blog post. Aul said Wi-Fi Sense will continue to work if you already had it enabled. Wi-Fi Sense allows you to automatically log your friends onto your Wi-Fi network without ever giving them your password. In turn, you can use the feature to automatically connect your Windows 10 PC to your friends' Wi-Fi networks without knowing their passwords. The fears about Wi-Fi Sense were likely overblown. In fact, it was probably safer to automatically log in your friends to your Wi-Fi network than actually telling them your password, which many people also use for bank and email accounts. Wi-Fi Sense is enabled by default on Windows 10, but it doesn't share your networks by default. You have to actively choose to share your Wi-Fi network by clicking a box that says "Share network with my contacts" when logging in. When you do, all of your Facebook, Skype and Outlook.com contacts will be able to automatically log onto your Wi-Fi network when their Windows 10 PCs are in range. If you use Wi-Fi Sense, your Wi-Fi network password is encrypted and stored on a Microsoft server. But when your friends connect via Wi-Fi Sense, they won't be able to share your network with their friends. But Microsoft (MSFT) did a lousy job at communicating that message to customers. Ever since Windows 10 debuted in July, there have been nonstop reports about how Microsoft is using its new operating system to covertly collect data about its customers. 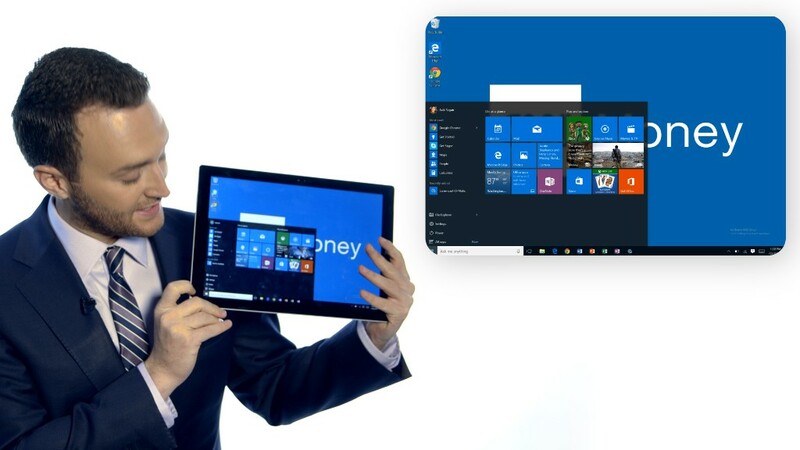 Microsoft Windows chief Terry Myerson didn't respond to those complaints until September, when he finally publicly discussed the specifics about what information Windows 10 collects and what controls customers have.